Arrigo Sacchi is the former manager of the Italian National Team and is best known for coaching A.C. Milan to back to back European Cups in 1989 and 1990. Despite not coaching since he managed Parma in 2001, Sacchi had strong words to say about the current state of the Italian National Team and its program of feeder players coming up through the system. After watching the Viareggio Tournament, an annual international youth competition held in Viareggio, Tuscany, Sacchi had this to say. As you can imagine, Sacchi’s comments caused a great deal of controversy and angered many people causing him to try and clarify his comments. “I’m certainly not racist and my history as a coach proves that, starting from [Frank] Rijkaard,” Sacchi had said at an awards ceremony, according to La Gazzetta dello Sport. Sacchi continued to defend himself to the media. One of the current Italian National Team star strikers is Mario Balotelli who is black, but born in Palermo, Sicily, to parents who immigrated from Ghana. By the time he turned three, Balotelli’s parents put him into foster care where he was raised through adulthood by the Balotelli family who legally adopted him at age 18. Balotelli has dealt with racist comments his whole career from opposing fans as well as his own being called a “monkey” and “n_ _ _ _ _” which make Sacchi’s comments all-the-more troubling. 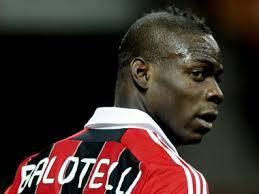 Does Sacchi believe Balotelli should not play for Italy’s senior team? I don’t think so, but it certainly sounds like he believes too many players without 100% Italian blood are wearing the Azzurri kit in the Italian National Team feeder system. If Sacchi is not a racist, he should change his words to say that players born to Italian parents and raised in the Italy their entire life are losing spots to players from outside the country who are eligible to play for Italy. He would rather see these players chosen to represent the country rather than individuals who have one Italian parent, but were raised outside the country. I feel the same way about the current state of the United States Men’s National Team. Coach Jurgen Klinsmann grew up in Germany and won a World Cup representing his country. As coach of the United States, he is constantly looking to bring in players outside the country who are eligible to represent the United States because they were born there or have at least one parent who is an American citizen. At last summer’s World Cup, the United States had a Norwegian American, an Icelandic American, and five German Americans on the 23 man roster. That is close to 1/3 of the team that is made up with players who were not good enough to play for their other country, but good enough to represent the United States. Should these players take spots from players who have been in the United States their entire life? It is a matter of opinion and depends on who you ask. It is obvious Klinsmann wants to win a World Cup and believes his best opportunity to do so is by bringing in players raised overseas who he thinks have played at a higher level growing up outside the states. I do not believe Sacchi is a racist, but needs to choose his words carefully in the future. Soccer is like a religion in Italy, and Italians are passionate about their national team. There is nothing wrong with Sacchi wanting homegrown players to represent the country at the national team level. Many of these players have grown up through the country’s national team feeder pattern, but are now starting to lose spots to eligible players raised outside the country. Sacchi believes the Italian National Team coaching staff and directors are losing their pride by searching outside the country for eligible players. Please visit http://thegamedayreport.com to read some of my other articles and others by writers on a variety of trending topics.